There are numerous ways that you can spend your marketing money; you could spend it on social media, content writers, software, printing, advertisements and many other things. Maybe you have done all of those things, but are you happy with the results? A lot of businesses, particularly small businesses and startups who are quite new to the game, and who have less money to spend on marketing, are not happy with the results they’re getting. That is usually because they are not making optimum use of their money. 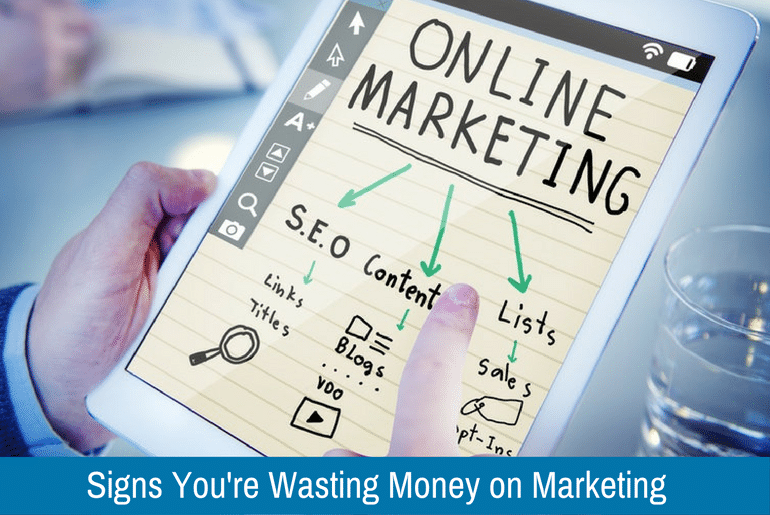 If you have a website, but you’ve never so much as had one single client or sale created by it, then it is a sure sign that your money is being wasted. It could be because you have no search engine optimization skills, and hiring a professional would help, or it could be that your content is so poor that it doesn’t convince anyone, and again hiring a professional would be a better use of your marketing money. Then again, it could just be that your website doesn’t look good, which means you’ll need to invest some of your budget into improving its design, either by purchasing a better template or hiring a web designer, Otherwise, the money you’re currently spending on hosting and updating your website might as well just be flushed down the toilet. If you never shop around, using companies like 123inkjets to get cheaper ink for your brochures, or using websites like People Per Hour to find the most affordable content writers, designers and marketing professionals to boost your profile, then you’re undoubtedly wasting money on marketing. No business should buy anything without getting quotes, comparing deals and making every effort to look for the best value, and if you’re not doing that, then you are wasting money. There’s nothing wrong with spending lots of your capital on marketing, but only if it’s working and you’ll only know it’s working if you monitor it. If you’re using pay-per-click ads to advertise, for example, you need to be keeping a close eye on the data to see how many people it’s sending to your website and how many of them are making a purchase, or if you’re handing out leaflets in the local precinct, you need to monitor if the cost of doing that brought in more extra money or not. If, after monitoring, you find that you’re spending more on marketing than you’re getting back, then chances are you’re not using the right techniques for your company, and the cash would be better spent on, say hiring a marketing expert, to ensure that you can get the word about your business out. One of the biggest signs that your money is being wasted is that you aren’t attracting your target audience, Every business has a target audience who are the people most likely to buy their products and services. It is the sole aim of marketing to turn those people on, so if you’re finding that they simply aren’t interested; they’re not following you on Facebook, or your tweets are going ignored, chances are your marketing money is not being put to best use. You can’t expect your startup to become as well known as the likes of Facebook or Coca-Cola in just a couple of years – in fact it probably never will be if we’re being brutally honest – but if you’ve been spending a fair amount of money on marketing, then you should see an increase in brand awareness, If that doesn’t happen, then you’re clearly dealing with marketing staff who don’t know what they’re doing or who have little knowledge of your niche, or you’re using the wrong kinds of marketing to get your message across, and a rethink is needed. In this age of automation, there are lots of marketing tools that promise to increase boost brand visibility and increase your sales without you having to do anything much at all. If you’ve invested in one of these supposedly miraculous tools. But you haven’t noticed any return on your investment, then either ditch it or pay an employee who knows how to use it properly to kickstart it and start generating some leads. If you do neither, it’s just more money down the drain. If you have both a marketing department and a sales team, if they are both working effectively, then you should see several leads each day sent from the marketing department to the sales people. If this isn’t happening, then you either have really bad marketing staff, or you haven’t given them the right training to recognize and capture a lead when they create one. This means that you’re going to have to bolster your team with some professional marketers and perhaps invest in some better software that makes the transfer between departments seamless. If you’re investing your own time, or even worse, paying someone else to generate content for a blog or social media posts, and no one is clicking on them, then you might as well not bother with them at all. Blogs and social media posts are vital advertising tools in business today, especially for smaller companies, but if your content isn’t interesting or engaging, then you are really just throwing good money after bad. Start taking your blog seriously, hire a pro-blogger to do the work, and you should see an upturn in your fortunes. Hopefully, this will help you to see where you’re going wrong so that you can stop wasting money away and start generating more leads.